Did Tesla Quietly Remove A Safety Feature From The Model X's Falcon Doors? The issue stems from the door’s sensor array. Being a powered door, the Model X relies on a set of sensors to determine if the door mechanism is in a position to damage the car or possibly hurt someone by crushing a body part in the door. But it appears a recent change to the car’s firmware to get the doors working properly could lead to objects, or hands, getting inadvertently crushed. The firmware update was made earlier this month because the inductive sensors that prevent arm-crushing are also ones that tend to give false positives, making the doors not work and frustrate customers. It seems to have some unusual consequences now. The most dramatic part in that first video is likely where he uses the Model X as an $80,000 vegetable slicer, the door easily clipping a cucumber in half. The videos do seem to show that those inside door panel inductive sensors are no longer operating, and the result is that an object can easily be crushed in the door. I know you could be thinking that you should just keep your hand away from the door, like you would with any car. But that’s not really the same thing. Those Falcon doors are powered, and as such need to have reasonable safety systems in place. Why is this happening? Again, it has to do with the car’s sensors. To protect the door from striking an object on the outside, there’s a set of ultrasonic sensors in the lower part of the door—this should keep the door from smashing itself into, say, low parking deck ceilings. And to keep from crushing errant fingers, tongues, hands, and other body parts, the door has a set of pinch sensors in the weatherstripping to detect if something is, you guessed it, pinched. It’s that last set of ultrasonic sensors that appear to have been disabled in a recent Model X firmware update. Everyone’s had issues with phantom object detection which is caused by these inductive sensors. Take from this what you will, but it looks like they figured out a way to just remove them and use the motors in the hinges to detect. 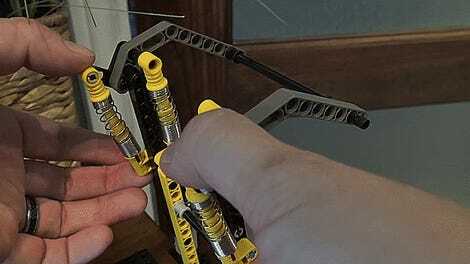 How it pinches, before with the inductive it stops on contact. This recent Tesla firmware update, sent wirelessly to all Model X vehicles, seemed to take care of the phantom object issues. But, it appears that Tesla’s solution wasn’t really a solution at all; they just shut off the sensors that tended to give problematic data. The pinch sensor won’t help here, because by the time it’s engaged, the damage is done; the thicker interior panels have already crushed the object in the door, as demonstrated with that doomed cucumber. But crushed vegetables aren’t the most alarming thing about this whole story. This specific example with the doors and the cucumber and pressure gauges is attention-grabbing, but it’s the unseen part that has me the most perplexed: if this proves to be accurate, this suggests that Tesla disabled a crucial safety feature of their customer’s cars without informing anyone. That’s a big deal. Okay, improved closing behavior is great, as is the opening back up a bit if it hits an obstacle. What’s not so great is that to get that improved closing behavior, some very crucial safety sensors have apparently been disabled. I feel like that should have been mentioned here. The ability to adjust the parameters of a car remotely, to send new software that improves the car or unlocks new capabilities is an amazing thing. 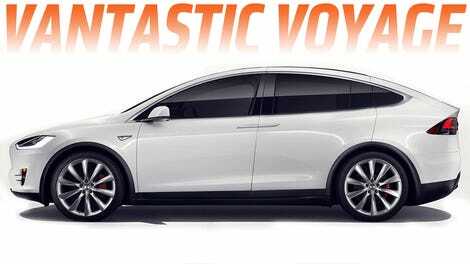 Tesla has used this ability more than any carmaker ever has, and it’s revolutionary. They’re real pioneers here, but that also means they’re pioneers on the downside of this capability: a manufacturer has the power to remove features from a customer’s car remotely as well, and, as we’ve seen here, that feature could be a safety feature that many would consider crucial. If Tesla can’t get these sensors’ behavior working the way they want, and they feel the only way to get there is by disabling safety sensors, at the very least they should be obligated to inform their customers, clearly and spelling out the possible dangers of what this change means. I’ll update this story with Tesla’s response as soon as I get it. 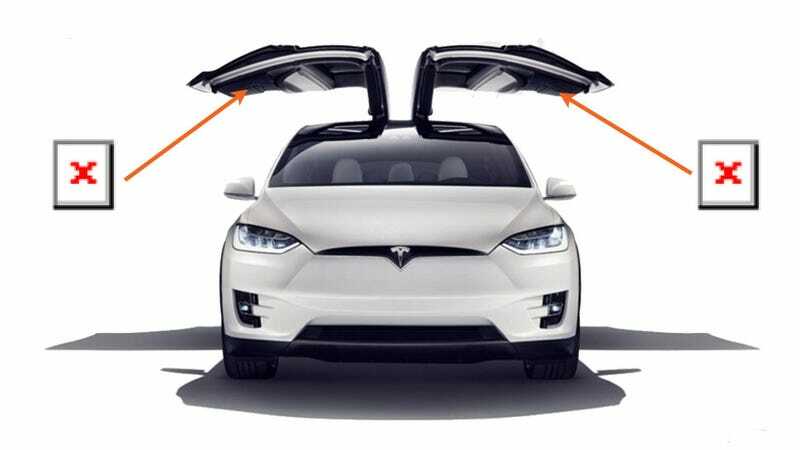 We adjusted Model X Falcon Wing doors via a software update in order to improve closure consistency and reduce false detection of obstacles. Yeah, that part we knew.